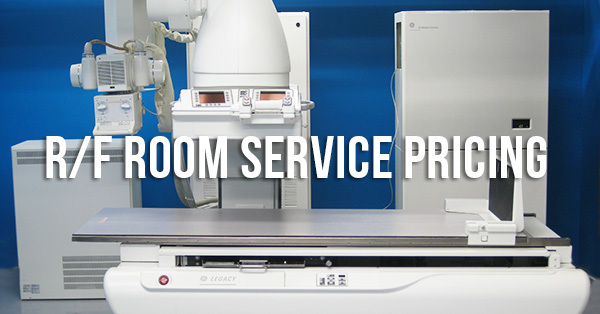 A reliable R/F room is a fluoroscopy mainstay in many hospitals. Whether the system is catching overflow for the rad room or recording swallow studies for the resident speech pathologist, an R/F room that's well-maintained and performing its best is a valuable asset; but, of course, maintenance and performance aren't free. To help you know what you can expect to pay each year for service coverage through an independent service organization (ISO), we've compiled current average rates for a year of our most inclusive Full Service Coverage plan as well as a short list of factors that will play into determining your individual price. U-arm X-ray systems have increased in popularity over the last few years. This makes sense, as the U-arm configuration offers a high degree of scanning flexibility with a smaller footprint than more traditional rad room configurations, but with all the popularity comes a wider field of options, and with options comes more research to find the best fit. 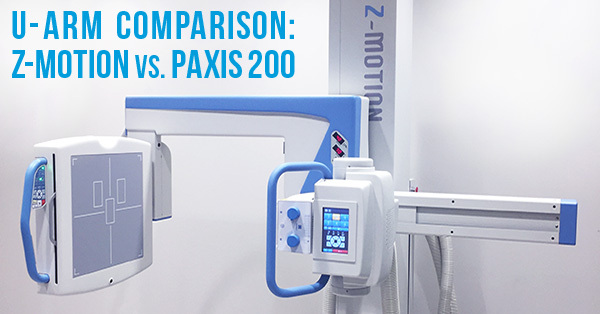 To help make that research easier, we've compared two common U-arm options on the market: the Z-Motion and the Pausch Paxis 200. Keep reading to see how they stack up. 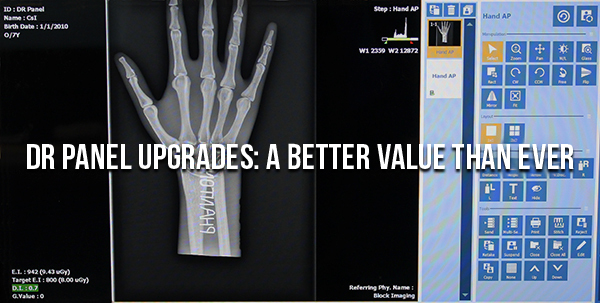 If your facility hasn't upgraded its X-ray capabilities in the last five years or more, we can't overstate our recommendation to upgrade to a DR panel ASAP. Many people we talk to have been scanning with burdensome reimbursement cuts for two years (at 20% for film processor users) or one year (at 7% for CR reader users) but are still concerned that upgrading to a flat DR panel detector is cost-prohibitive for their budget and patient volume level. These concerns loom large when you compare the up-front price of a CR reader to the price of a DR panel, but begin to fade if you consider the cost of ownership over a few short years from the point of purchase. 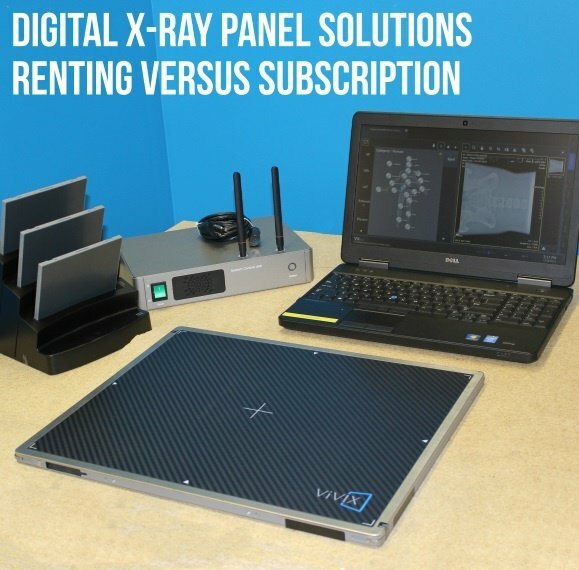 To help clarify, we'll share the numbers and tech factors that show why we think any digital X-ray upgrade should be an upgrade to a DR panel. For imaging facilities running on a tighter budget, finding the right DR solution can be challenging. Often, long-term solutions are not feasible because of the total capital outlay involved in acquiring them. Because we've seen so many facilities wrestle with this issue, here at Block we've put plans in place to be more flexible in serving your needs. DR panel buyers now have options outside of a standard purchase. Below, we'll share a feature comparison of two of them, DR rental and DR subscription, as well as which circumstances they fit best in. We emphasize preventive maintenance (PM) a lot here at Block Imaging. We type about it in emails. We talk about it on the phone. We blog about it online. 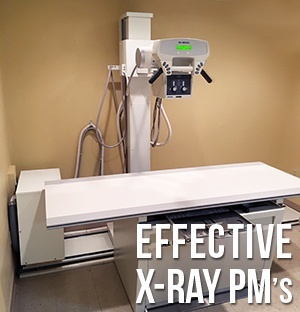 This emphasis is because we firmly believe that regular preventive maintenance for X-ray machines, and all other kinds of medical imaging equipment, is essential to safety, image quality, and minimizing downtime. We would love to be the company you choose to provide preventive maintenance for your X-ray system, but even if we're not, we're going to share with you what an effective PM looks like, in three stages.